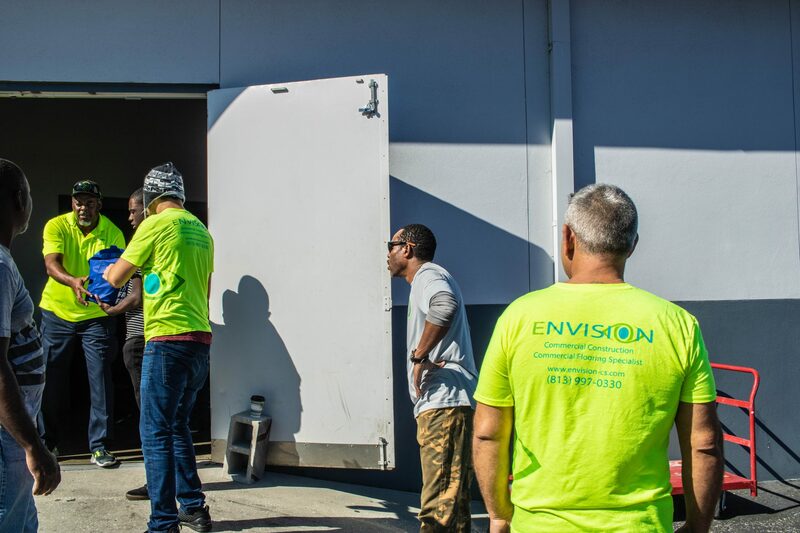 One relationship that the Envision team holds dear to our hearts are the relationships that we hold with our vendors. It’s because of our vendors, and the great work that they continue to do, that we are able to offer competitive pricing to our clients. 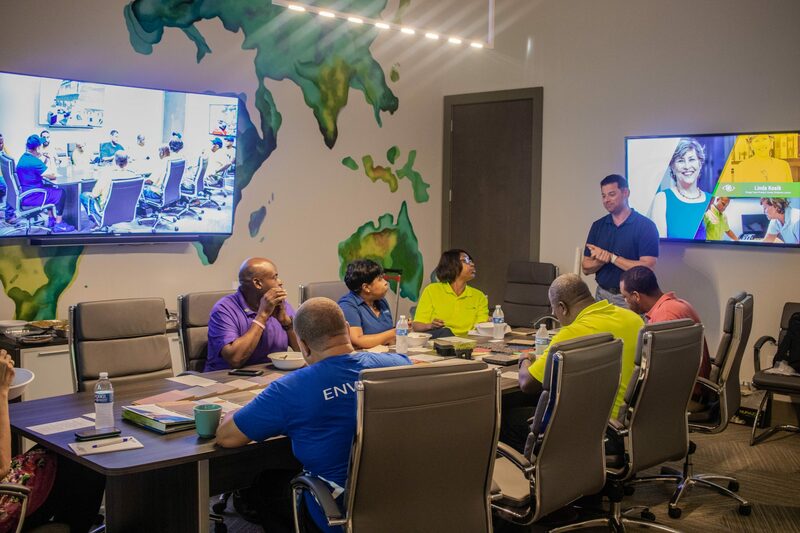 This past week, one of our flooring vendors, Keith from Spartan Surfaces, came to the Envision office to introduce our team to new products available at Spartan Surfaces in the style of a Lunch & Learn. 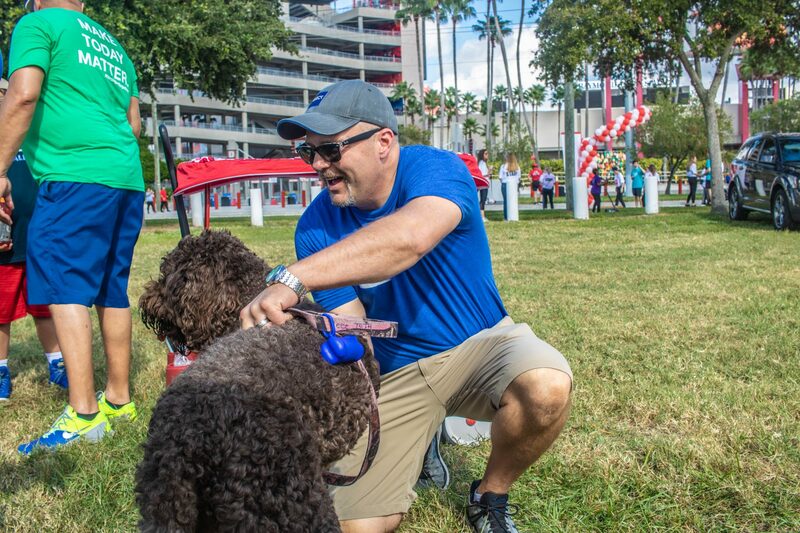 It’s intimate settings like these that set our vendor’s apart, by not only creating a space to inform our team members on what’s new, but also by continually strengthening the relationship that we have through one on one in-person contact. 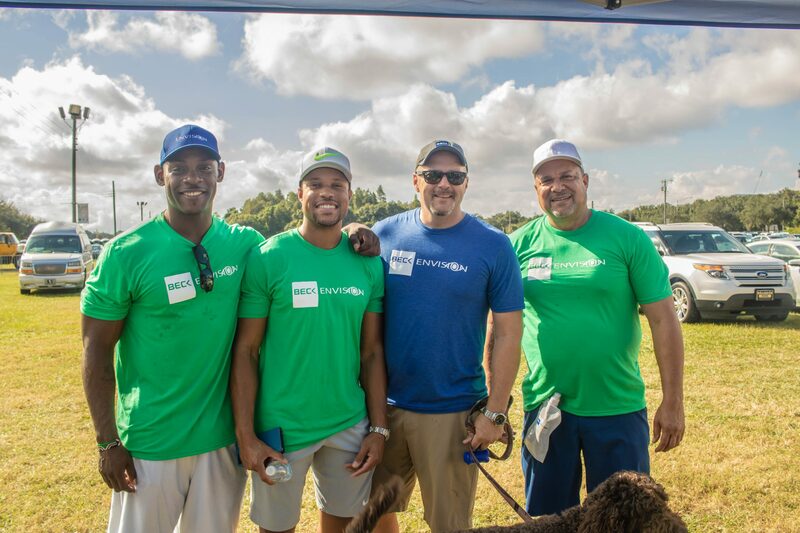 From Envision, we want to personally say thank you to all of our vendors that we partner with, for all that they continue to do for Team Envision. 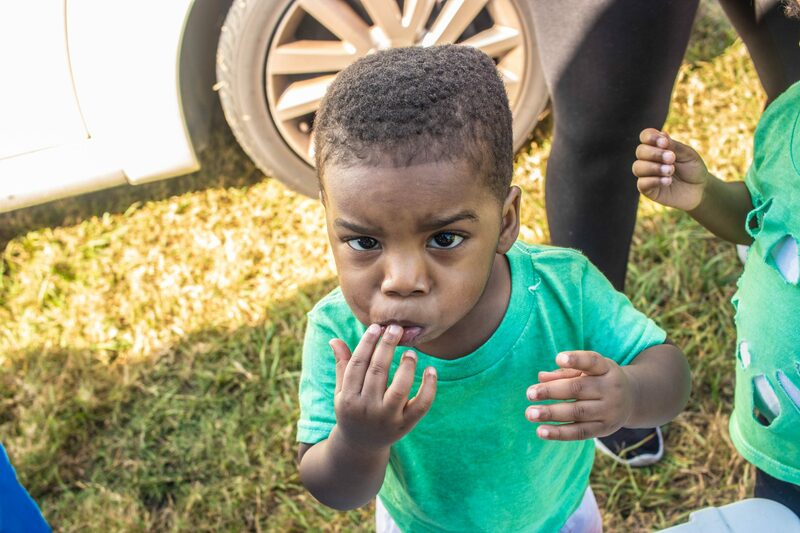 Over the past 20+ years, families in the Tampa Bay area have had access to home-cooked meals on Thanksgiving day, due to Revealing Truth Ministries’ Families Feeding Families initiative. 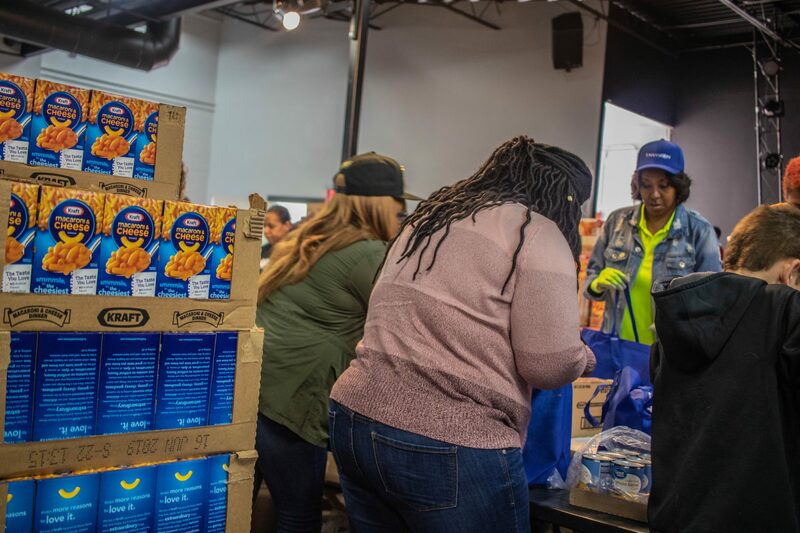 Families Feeding Families, built on the power of knowing that if the ministry couldn’t feed all families, together, they could feed many, is an initiative that focuses on providing families in need with food on Thanksgiving. 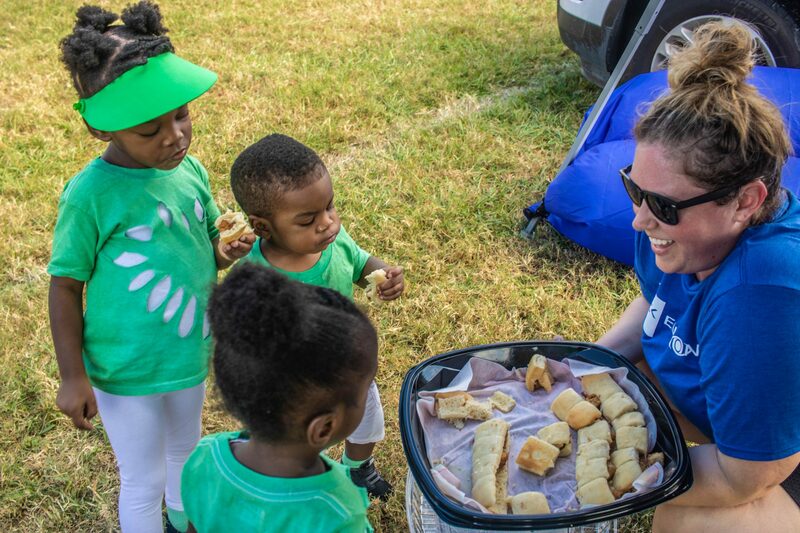 Because Thanksgiving, for many, is a time of sitting around the dinner table, spilling over the details of one’s gratitude and thankfulness, this experience is one that Revealing Truth Ministries wanted to ensure that no family had to miss out on. 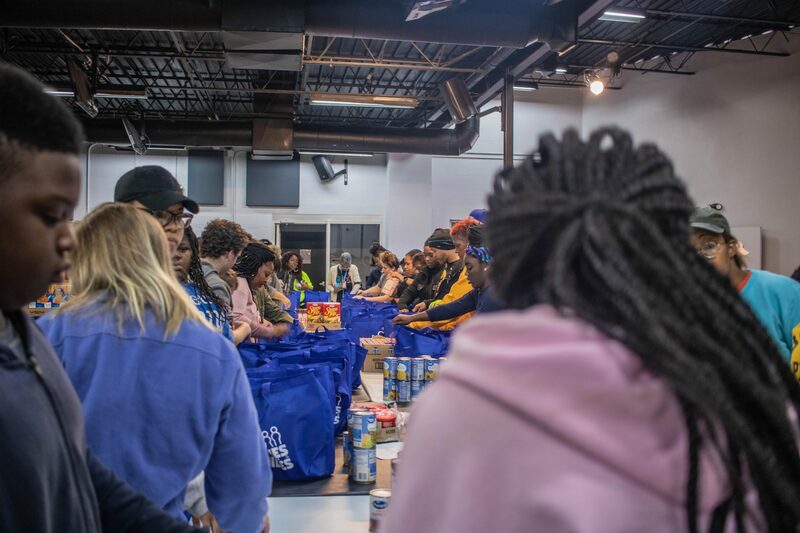 Every year, this impactful event is fulfilled by members of both Revealing Truth Ministries, and of the community, coming together on the day of the event to fill the bags with various food items – enough to enjoy Thanksgiving, plus the leftovers! During this event, cars line-up one after the other, as volunteers pass the Thanksgiving bags to each car while waving & cheering “Happy Thanksgiving”. 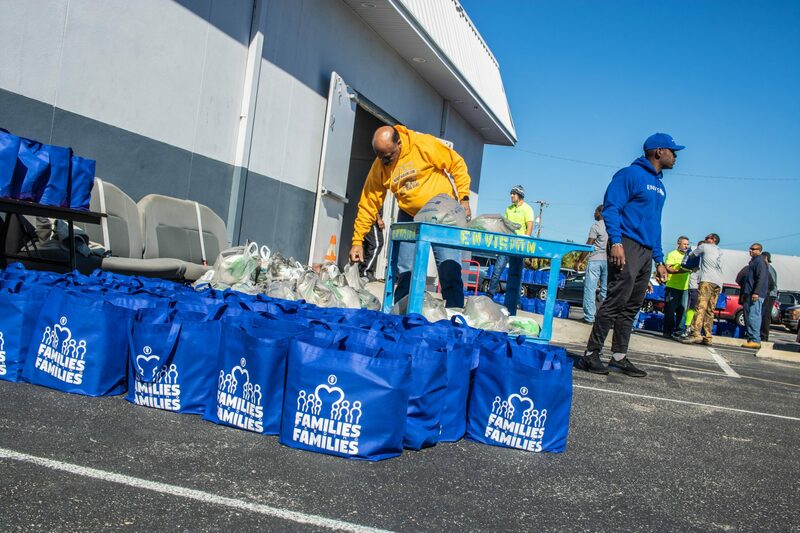 This year, Families Feeding Families had the privilege of passing out over 800 Thanksgiving bags, feeding more than 3,200 people and 800 families in the Tampa Bay Area. 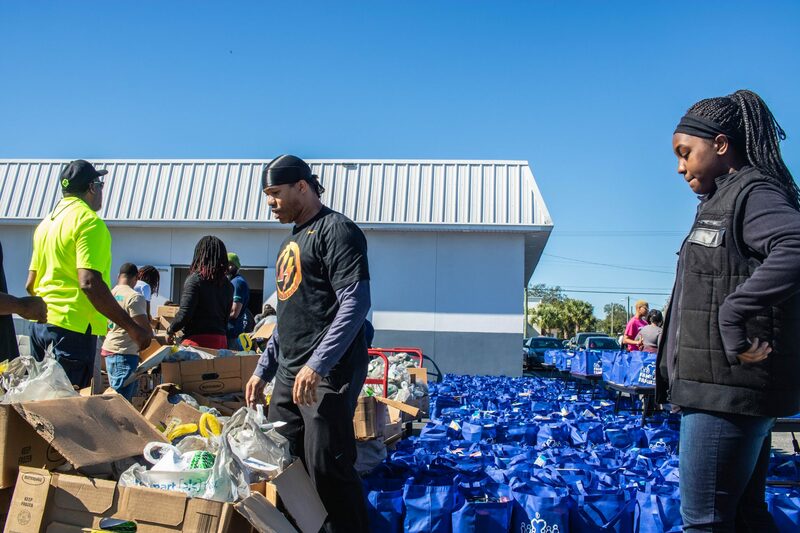 With bags being passed out from Revealing Truth Ministries’ Tampa, Wesley Chapel, and St. Petersburg campuses, as well as at Maximo Elementary and Woodlawn Elementary, Families Feeding Families reached more families this year than ever before. 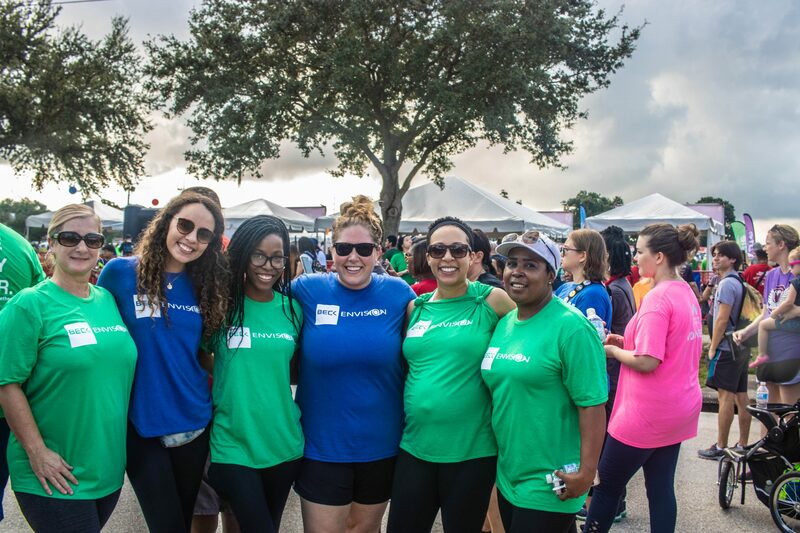 Envision Cares is a proud partner of Revealing Truth Ministries, and our team enjoyed playing our small part in such a huge impact day for the Tampa Bay Region. 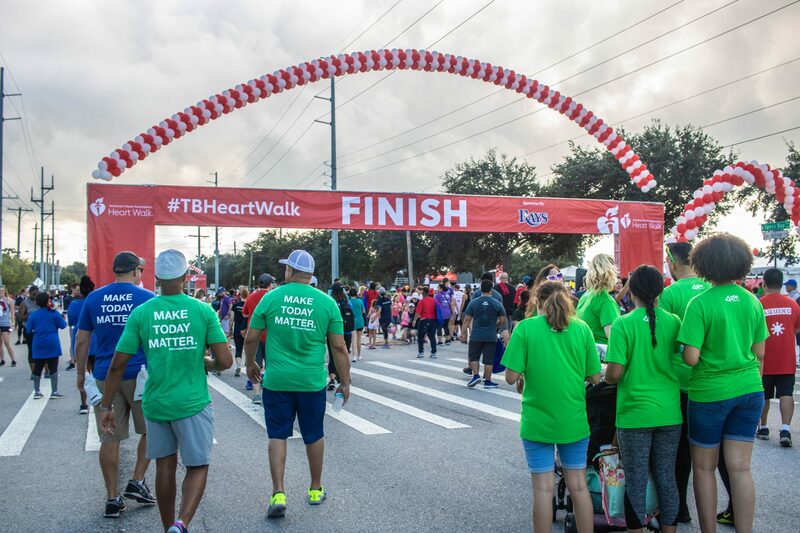 Last weekend, Beck and Envision came together, as one, in support of a common cause at the 2018 Tampa Bay Heart Walk. 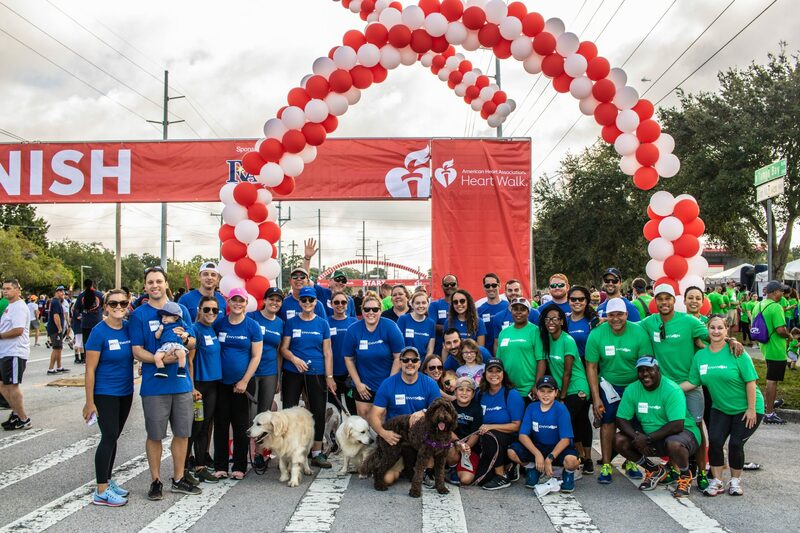 While some walked with an individual in mind, and others walked to raise awareness, the entire team gathered around Raymond James Stadium in our #StrongerTogether t-shirts to support this initiative against heart disease and stroke. 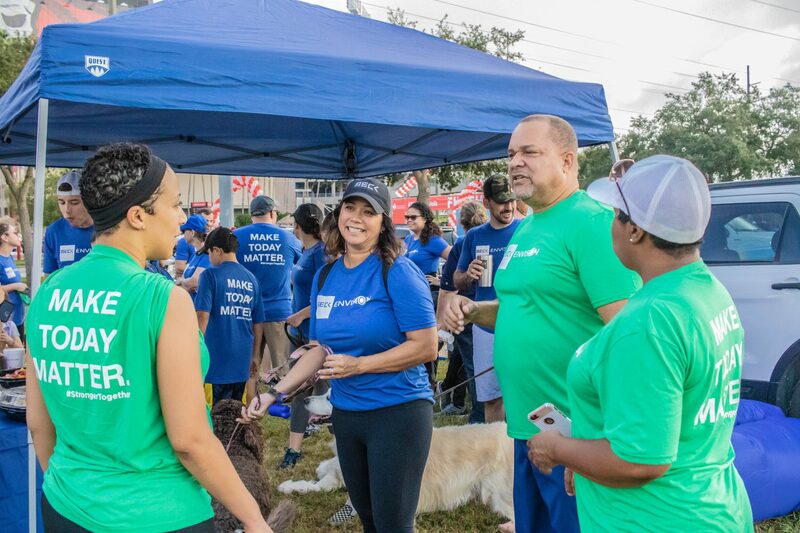 As we joined forces to walk, the families and loved ones of Envision and Beck joined in on our efforts as well. 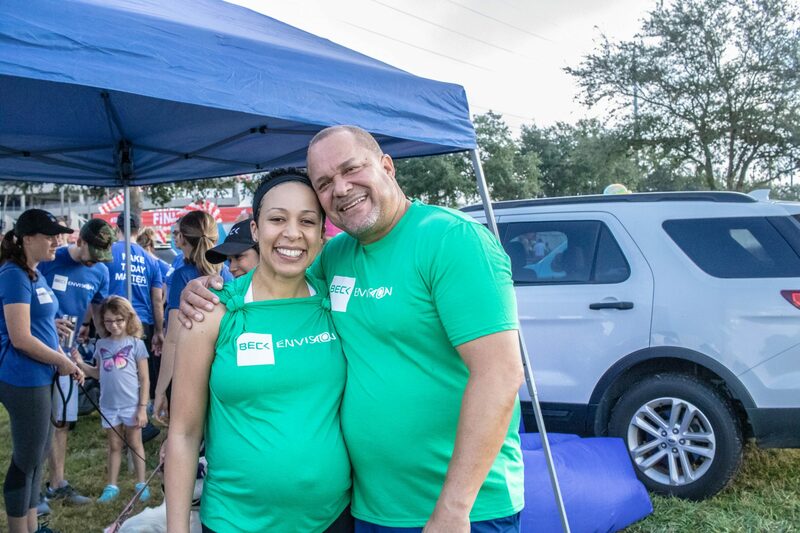 Then, after crossing the finish line, the Beck Envision team, along with our families, filled the grass lot adjacent to the stadium to enjoy a moment of fun, laughter, good food and great company. 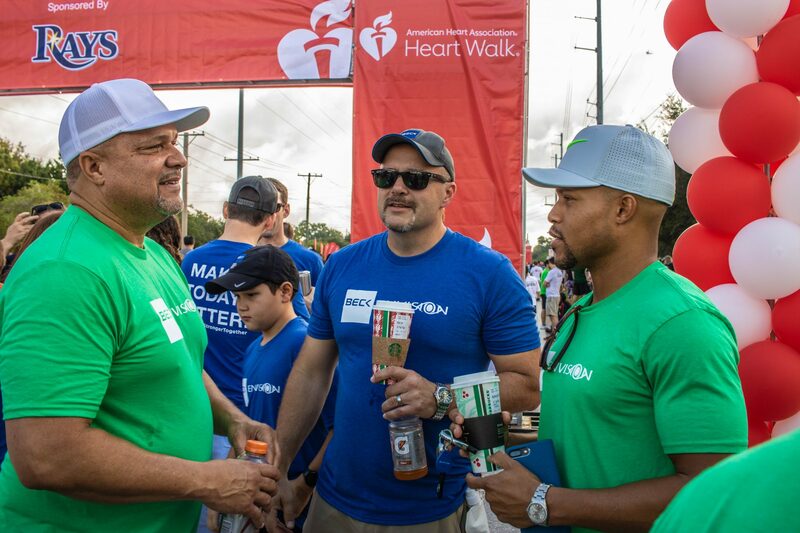 Through the Envision Cares initiative, our goal at Envision is to continually support initiatives and community efforts such as these. 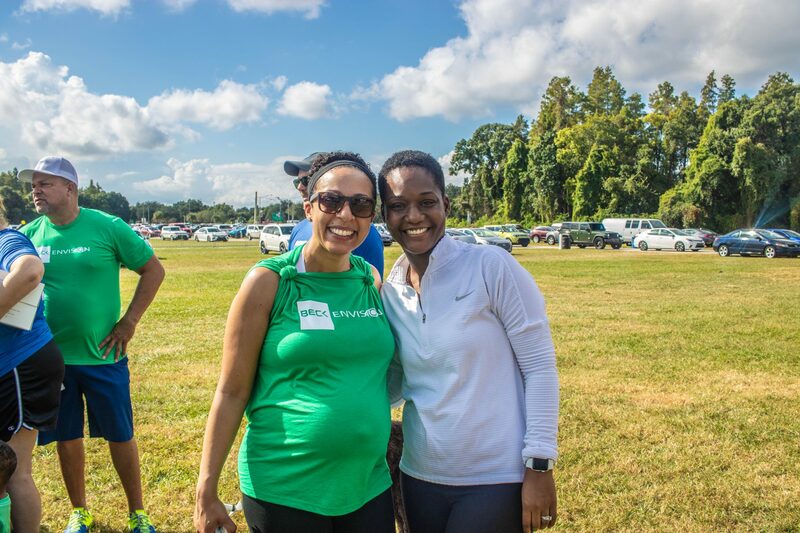 It is our desire to ensure that the community in which we live in continues to receive the support that it needs in order to prosper and impact lives in a major way.